West Ham United let a two goal lead slip as Birmingham City fought back to claim a 2-2 draw at St Andrews. Liam Ridgewell rescued a point for Blues, who were staring defeat in the face as second-half goals from Frederic Piquionne and Valon Behrami put the Hammers in the clear. But Avram Grant's side - chasing their first away win of the season - collapsed as first, Cameron Jerome gave the hosts a lifeline on 64 minutes, before Ridgewell popped up with the decisive equaliser nine minutes later to see Alex McLeish's side earn a share of the spoils. The result sees West Ham remain rooted to the bottom of the table while Blues are two points above the relegation zone in 14th place. Former Birmingham co-owner David Sullivan was denied victory on his return to St Andrews as his current club showed the frailties that have plagued them throughout the current campaign. Sullivan looked on impassively but at least he was able to witness proceedings at first hand after former Blues chairman David Gold had been banned after comments about the midlands club. West Ham looked to have the points in the bag after playing with a confidence that belied their lowly position. Carlton Cole impressed as the lone striker and his occupying of the City defenders allowed Victor Obinna to find space to exploit. In contrast Blues struggling for long periods to pose any sort of threat - until they went 2-0 down. There was a brief delay when the pitch sprinklers suddenly burst into life and it was one of the better moments of an otherwise insipid opening period. West Ham began to threaten and it needed a brilliant save from Ben Foster to deny Cole the opening goal after 17 minutes. Cole's close-range shot from Obinna's low centre looked destined for the corner of the net, but Foster somehow finger-tipped the ball onto the post at full stretch and it rebounded out. Scott Dann blocked a shot on the turn from Piquionne and Roger Johnson did a similar job to deny Luis Boa Morte. In a rare Birmingham attack Alexander Hleb picked out the run of Keith Fahey but he was crowded out as he prepared to shoot. That was the duo's only significant contribution and they would later be subbed. West Ham needed only three minutes of the second half to break the deadlock through Piquionne's fourth goal of the campaign. Boa Morte picked out the run of Piquionne in between Ridgewell and Johnson and he drilled his shot across Foster into the far corner of the net. Blues tried to retaliate and Ferguson's angled ball almost picked out Larsson's well-timed surge into box. But the Sweden international failed to make contact and Robert Green was able to collect. Cole came close to making it 2-0 when his glancing header was only just too high from Obinna's corner and it came as no surprise when Behrami doubled the Hammers lead after 57 minutes. Cole had time to tee up the run into the box of Behrami and his first-time shot flew past Foster from 12 yards. City manager McLeish responded by bringing on Jean Beausejour and Craig Garner in place of Hleb and Fahey, although they could only watch on as Obinna nearly put the game out of sight when his shot crashed against the woodwork. Then, Jerome gave Birmingham a life-line by reducing the arrears after 63 minutes. Zigic headed a cross from Larsson into his path and the former England Under 21 striker made no mistake from close range. And after 73 minutes, Ridgewell equalised and a question mark has to be placed against Green. He only succeeded in pushing a free-kick from Larsson straight into the path of the former Aston Villa man who tucked it away from eight yards out. Birmingham came close to taking the lead when Jerome burst into the area and saw his shot deflect off West Ham defender Daniel Gabbidon onto his own crossbar before Obinna was yellow carded after a late challenge on Larsson. 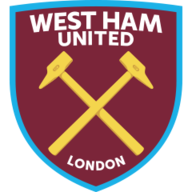 City ended the match on the front foot, but West Ham were denied a penalty late on as Beausejour grabbed a chunk of Lars Jacobsen's shirt in the penalty area and it ended all square.